Eight bidirectional level converters in a single breakout board. Based on the Texas Instruments TXS0108. I2C ready! 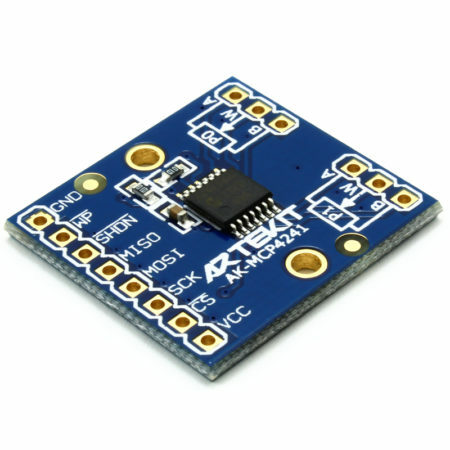 You surely came across the situation where you want to use devices that works with different voltages, for example, a 5V Arduino and a 3.3V sensor, or a Raspberry Pi and a 5V RTC. 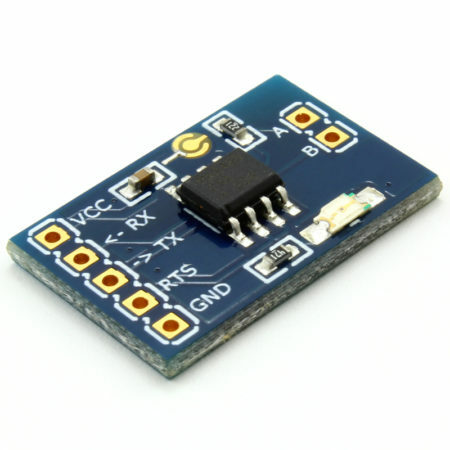 In order to protect your devices, often connected through SPI, I2C or signals like interrupt pins, you need a voltage level converter. A voltage level converter (a.k.a. level shifter) does precisely that: it converts from a lower voltage to a higher voltage. 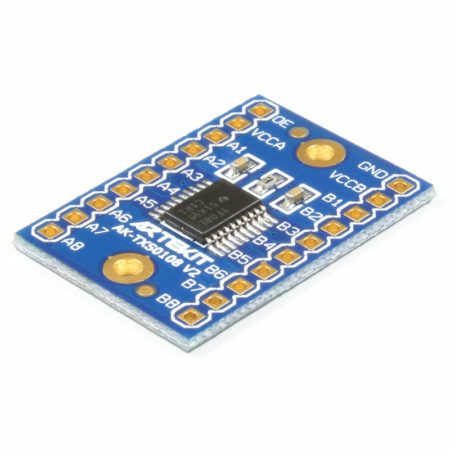 This board, based on the Texas Instruments TXS0108 IC, provides 8 bidirectional logic level converters in a single board. 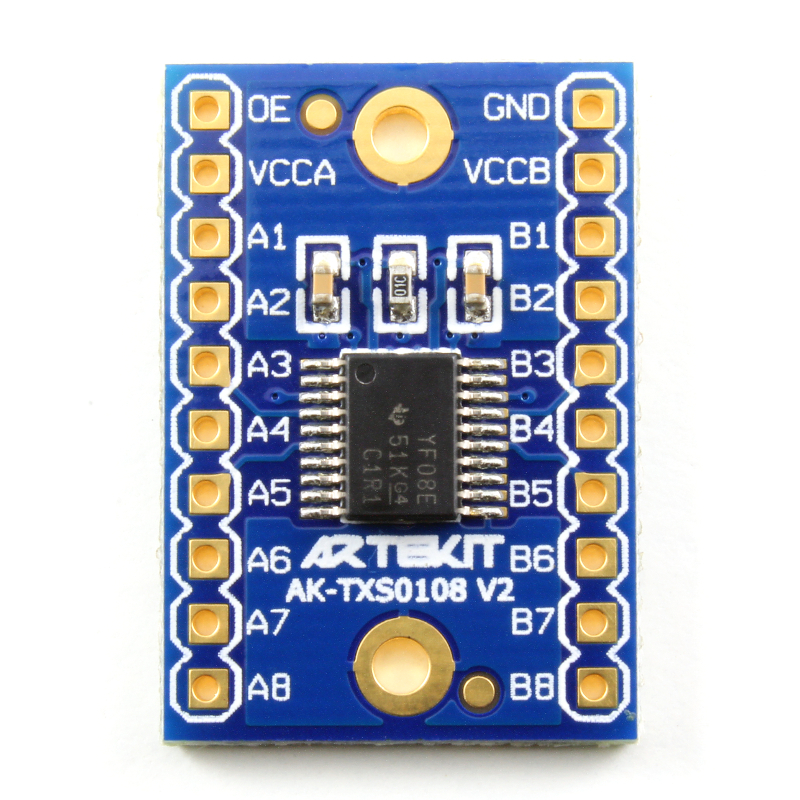 Bidirectional means that there are not predefined inputs or outputs: the TXS0108 will automatically switch a pin from input to output or viceversa when needed, on the fly. 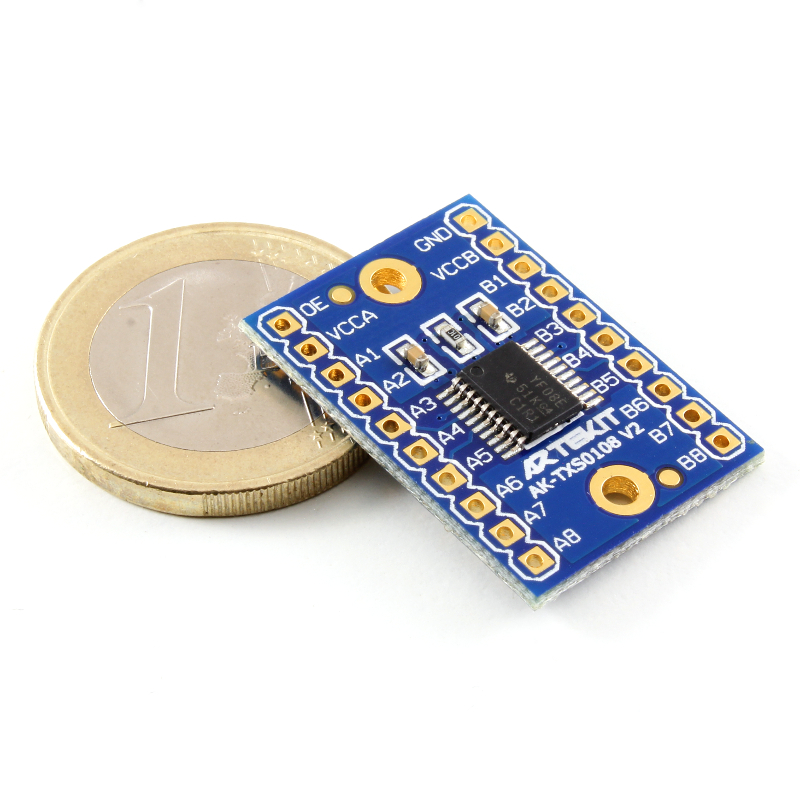 This mean that this board is perfect for I2C bus lines. 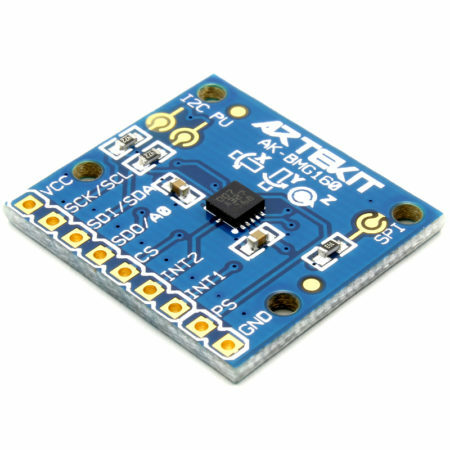 The board is extremely easy to use and we have prepared a guide with details. Basically, you need to connect your lower voltage signals to the A1-A8 pins, and your higher voltage signals to the B1-B8 pins. Supply the lower voltage to VCCA, the higher voltage to VCCB and a ground connection. That’s it. 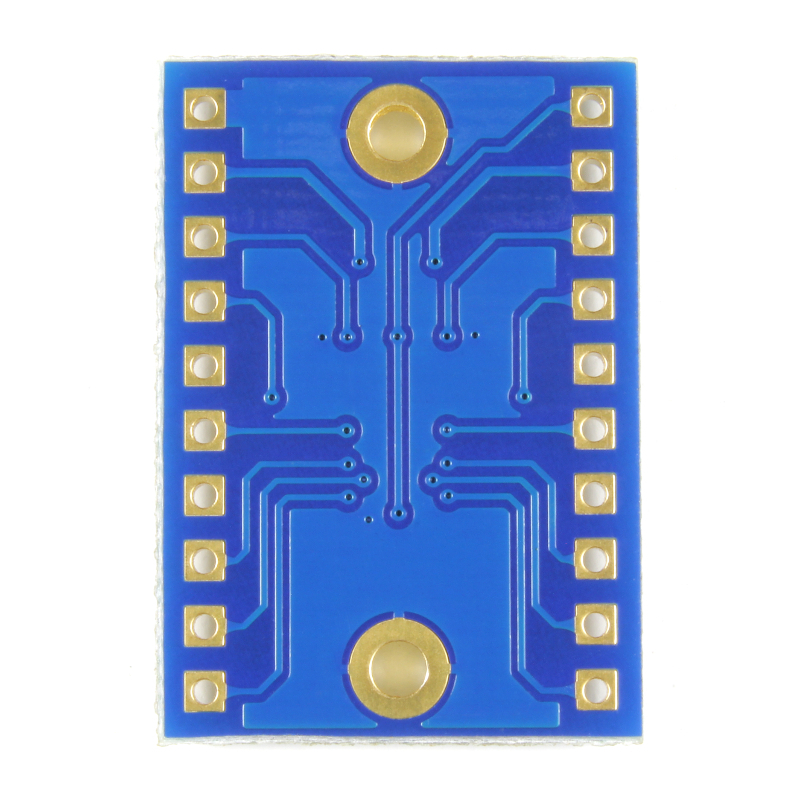 The pins are separated by 0.1″ (2.54mm) so the board can be used on standard breadboards and protoboards. The board comes fully populated, including the decoupling capacitors and a pull-up resistor in the OE (output enable) pin, so the TXS0108 will start working as soon as it is powered up. Eight level converters in a single board. Bidirectional: no control signal needed. 1.2V to 3.6V on VCCA and 1.65V to 5.5V on VCCB. 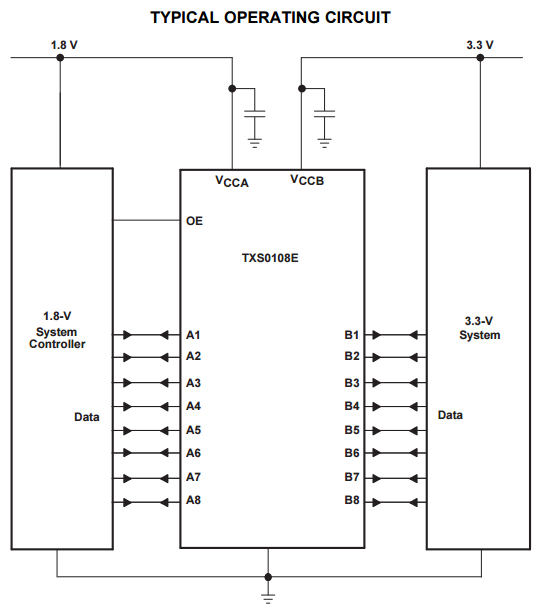 Note: The above image was taken from the TXS0108 datasheet. Capacitors on VCCA and VCCB lines are already included in the board. 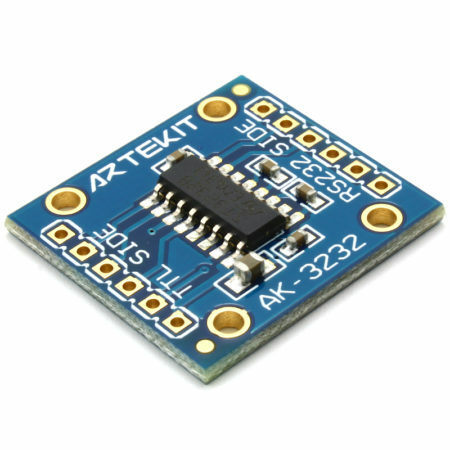 The voltage on the A port can be any voltage between 1.2V and 3.6V. The voltage on the B port can be any voltage between 1.65V and 5.5V. Voltage on A port should be less than or equal to the voltage on B port (VCCA ≤ VCCB).